Update “open ArchiVIZ pack”: Now with Top View Plants! 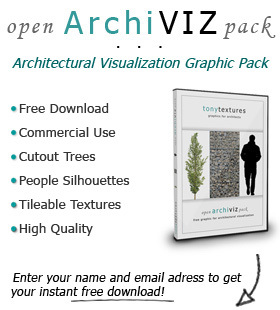 Update 1.2. for the “OpenArchiVIZpack” – our free download package for architecture visualization! The “OpenArchiVIZpack” is pretty popular in the community! So we are happy to present you a new update with additional cutout entourage for architectural visualization. Until now we mainly focussed on cutout trees, plants and people in section view as well as textures and background images for your compositing. 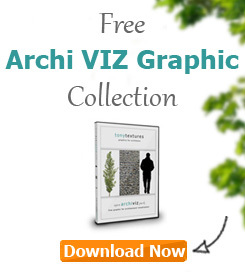 [Read more…] about Update “open ArchiVIZ pack”: Now with Top View Plants! This week we celebrate the product launch of our four new collections: TopView Trees, TopView Plants 01, TopView Plants 02 sowie der TopView Flowers.